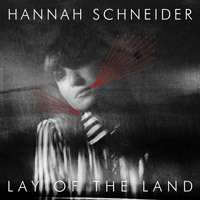 Enter your email address for Hannah Schneider related news & updates. Melody fanatic Hannah Schneider isn't just the result of a colourful family history. She's also driven by almost frightening courage – from the time she broke with her internationally renowned family's classical traditions, until she decided to take the stage as a woman alone with a pile of instruments. But she's also endowed with the delicate soul of an artist. Now, on her third album, she brings all the contrasting threads together for the first time – and that has set her and her music free. Over and over, people ask Hannah Schneider where she's from. The short answer is "Denmark". The longer one is that her grandfather was famed ‘cellist Mischa Schneider, a member of the celebrated Budapest String Quartet. He had Russian-Jewish roots, and the family's name had been Znaider before they adopted the German spelling to make it easier for them to cross borders. Mischa found himself in the United States in the 1930s and had a son there, but he was known to have a "woman in every port", including one who bore him a daughter in Copenhagen. When Mischa’s American son visited his half sister, he fell in love with her bohemian lifestyle and decided to remain in Denmark. He met a Danish violinist, and the couple had a daughter - Hannah Schneider. As you might expect, Hannah inherited a bit of everything from her family – the street performer's free thinking, the artist's sensitivity, a Russian temperament and a good dose of American ingenuity. "It's been a huge conflict, and I've always been extremely sensitive. I let everything in the room affect me, but I'm not, like, this nice little quiet girl. I'm incredibly temperamental and I'll go home and smash things. And when it comes to music, I'm always making all these drastic decisions," she says. The contrasts inevitably find their way into Hannah's songs and the way she approaches her career. It all began with a break – a break with her family's proud classical music traditions. She describes herself as born in the orchestra pit at the Royal Danish Theatre, where her mother was a violinist. Her earliest musical memories are the sound of the violin, but she was seized by the rhythm when she first heard "Lambada" years later. She also toyed around with a keyboard in her room, and discovered it was more fun to write her own songs than to interpret others'. Gradually, she began to give shape to her own type of gauzy electronic pop music. Hannah's ability to take her own path musically was first showcased in a project called "Window Sessions", where she and special guest artists performed songs in her apartment, recorded them, and released the recordings. More recently, a tour where she appeared completely alone on stage earned her a lot of respect for the courage she showed in getting up and singing and playing all the instruments herself. What people didn't know was that she was lying awake at night, terrified of having to put her latest musical path into practice. But these are contrasts she has to live with, and that actually drive her onward. "Getting in way over my head is the best thing I know. And the worst," she says. "I'm a total melody fanatic. I have favourite songs in every genre, from Robyn's "Do You Really Love Me" to Joni Mitchells "A Case of You". A good melody does the right thing at the right tine. You have to be able to cover a whole landscape in three or four minutes. Every time a verse finishes, there's got to be a little lift," she explains. Hannah's own melodies were composed during stays in different cities and in a little rundown shed in the middle of nowhere. A song like "Everything" embraces quite a bit of the theme that pervades the album. It's a song about "spring cleaning" gloomy moods away, so you can see that good things lie ahead. "Dreaming Kind" was conceived as a battle cry for sensitive dreamers. And the summery single "Life Is Easy" is about the moment you start to trust in your own life. "This record is about the glimpse you get of yourself when you can observe yourself from the outside. You know, I'm done with navel-gazing. All I want to do now is just open up," Hannah explains. Not that she's reached the end of the line. Or that she's now on completely firm ground. She's got too much classical music in her blood for that. In classical music, you never stop improving and growing. "If there's anything that annoys me, it's this idea that pop musicians – especially women – have a certain limited time to shine. After that, you sit around writing about the kids. I plan to keep on finding my way and getting better and better at writing songs. Being a musician is a life-long project. It's with you from the minute you're born to the day you die," she concludes. 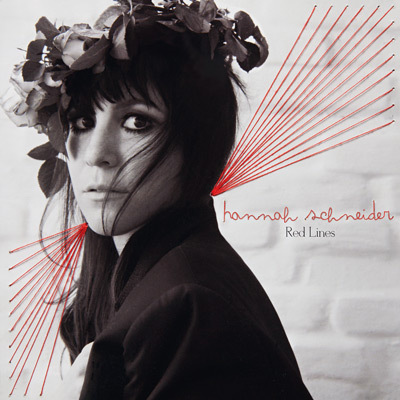 Red Lines is out now on CD, digital & vinyl on Lojinx in the UK.